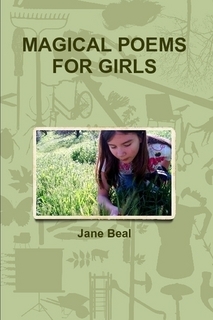 Jane’s new book, MAGICAL POEMS FOR GIRLS, is full of new poetry drawn from fairy tales, classical myths, fantasy stories, biblical narratives, and the lives of famous, historical queens. Its goal? To give girls facing hardship renewed courage and hope. If you are a teacher, consider including in your classroom library. If you are a social worker or psychologist, consider how these magical poems might encourage your young clients. These poems have the power to lift up their hearts. They can comfort the girl-child in any grown woman’s soul as well. For when you open the book, you enter an enchanted garden full of marvels! like the dew and the air. Commentary: These are rain poems. There have been wonderful thunder storms in my part of the world lately — and lots of rain. So, rain poems. into the ears of your soul. 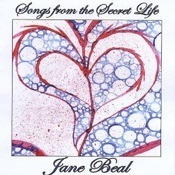 Jane’s CD SONGS FROM THE SECRET LIFE now available! Jane Beal, poet and writer/founder of THE POETRY PLACE, recently released a new CD of poems and songs called SONGS FROM THE SECRET LIFE. It is now available from iTunes, Napster, Amazon.com, Amazon.com.uk, TradeBit.com, and CDBaby.com, as well as other sites. barren keeper of a fertile place. I catch and eat still-beating hearts of birds. cutting off the color of my breath. I do not sleep. might have names and histories. Commentary: When I was in Santa Fe, New Mexico at the Glen Workshop, I met fellow poet Devon Miller-Duggan, a professor at the University of Delaware and the author of Pinning the Bird to the Wall (Tres Chicas Books, 2008). I love her lyrical narratives, creative descriptions, and sensuous language. This poem is rich with all of those qualities, alluding as it does to the sprite Ariel who appears in Shakespeare’s “The Tempest,” and giving voice to his imaginary daughter. The beauty and pain in the life of this “creature” bears witness to the poet’s experience in a way that is true. I recently attended the Glen Workshop in Santa Fe, New Mexico. I participated in a poetry workshop led by Marilyn Nelson, former poet laureate of Connecticut and the director of Soul Mountain, a retreat for writers. She is the author of such notable books as In the Fields of Praise, Fortune’s Bones, and Carver. It is not necessary to over-explain something in a poem, so don’t preach … “Trust your reader” (Jane Beal quoting Jeannine Nyangira) to understand what you are saying. Since the first word and the last word of a line of poetry are so important, we learned to look carefully at our line breaks. One day, Marilyn said, “It’s a very seductive danger to tie a poem up neatly.” So we looked carefully at our endings, too, to make sure they were not overly simplistic. We discussed unobtrusive rhymes and how to handle forms so deftly that they became invisible – or how to expand forms beyond restrictive rules to make them work for the subjects of our poems. Exercises: We were invited to write a poem from a man’s perspective in a woman’s perspective, to change the verb tenses in the poem from past to present or the verb moods from subjunctive to indicative, or to identify a “jumping off place” in a poem and develop new poems in ways that surprise the reader with new realities. We could consider re-ordering the stanzas of a given poem to see how that changes the progression and meaning. We also discussed letting the speaker of a given poem step aside, the lyric “I,” and the possibility of rewriting to foreground a third person subject. It was noted that Mary Kingsley, who used to teach at the University of Chicago, has a book out that contains many additional exercises for growing poets. Poems we read or referenced: “The Jane Bird Hospital in Delhi” By William Meredith, the “Book of Yolek,” “Northern Pike” by Wright, Elizabeth Bishop’s fishy poem, “St. Judas,” “The Illiterate” by Meredith, “Song of Myself” by Whitman, poems by Emily Dickinson … and so many more! The Flower Poet by Deborah Weistem? In all, a very good learning experience!